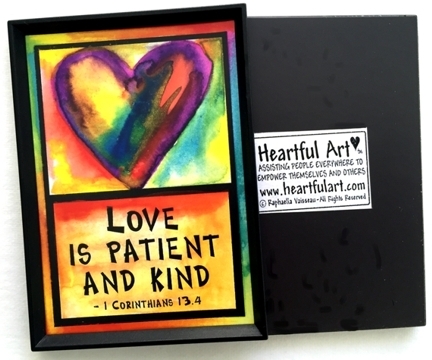 Magnet, poster, or print of a beloved Bible passage from 1st Corinthians 13:4 "Love is patient and kind" with art by Raphaella Vaisseau. Love each other with kindness, gentleness, and patience. See the good in each other, always and in all ways.